"Sir. Your patient is ready." - Morton. 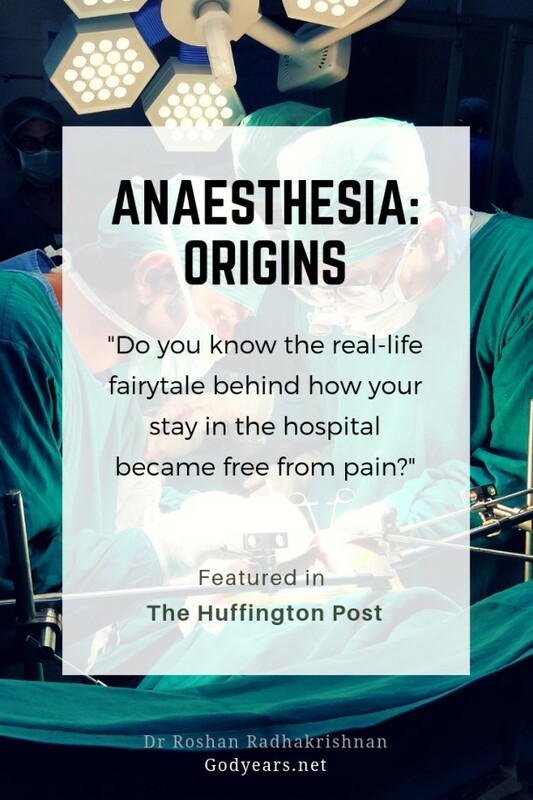 This post is now available at Huffington Post as well under the heading "World Anaesthesia Day: The Magical Tale Behind Your Freedom From Pain"
It may seem like a fairy tale. In many ways, it is. It is a journey that zigzags across all the corners of the globe over dozens of centuries, featuring saints and skeptics, sleeping chickens and screaming men. This, my dear friends, is the story of how your stay in the hospital became painless. 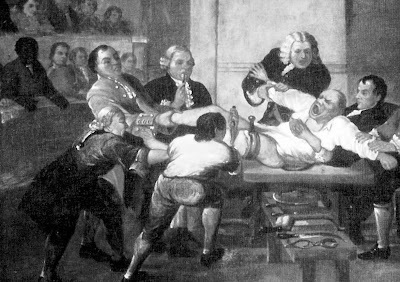 are words which are always inseparable in the minds of patients"
As late as 1839, the notion of a pain-free surgery was considered fanciful and budding surgeons were steeled early on to become indifferent to the screams and cries of the patients as they were cut upon. In the centuries prior to that, man had not given up hope though their methods left a lot to be desired. Today, it may seem ridiculous to even think of such options but once upon a time, to make sure the patient did not scream while surgery was being performed, the options available to the surgeon were very different. The patient was strangled till he suffocated and lost consciousness... and surgery was performed. The patient was beaten on the head with a club till he lost consciousness... and surgery was performed. Hallucinogenic drugs were force-fed to the patient till he had no idea which universe he was in... and surgery was performed. The patient was given alcohol till he was really drunk... and well, you know the rest. 'Refrigeration' where ice was placed along the places to be cut till it was numb. Effective... till you ran out of ice. Would have really helped to have a refrigerator back in the 13th century, I guess. The popular 'Ten people held the screaming man' while the surgeon cuts him open. There were missed opportunities, of course. In the 15th century, the alchemist and physician Paracelsus noted how ether made the household chickens sleep and awaken unharmed. He noted it as a possibility for treating painful illnesses. But then, nobody listened. In the years to come, greater minds including Newton, Faraday and Robert Boyle did peek into the effects of ether but eventually, it became a cheap alternative to drink when the taxes on gin were raised. As centuries passed by, we humans disagreed on everything, be it land, women or religion. But we never gave up on one dream... to free our fellow man of his pain. There would be a few more failed attempts as the 18th century came closer and closer to it's midpoint, with the wrong gas or skeptical mind nixing the idea in the bud. "Sir. Your patient is ready." In the end, on October 16th,1846 the first successful demonstration of general anaesthesia was done in front of a live audience of physicians and surgeons by William T Morton, at the Bullfinch amphitheatre in Massachusetts General Hospital. And for the first time in over twenty centuries, the patient really was. 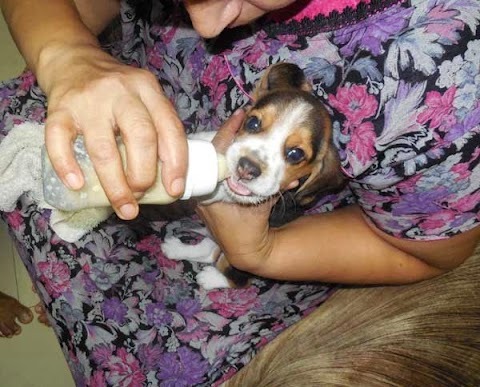 Gilbert was aware of his surgery but had no sensation or pain. After completing the surgery, a visibly moved surgeon turned to the crowd of his stunned peers at the amphitheatre and said the famous lines "Gentlemen. This is no humbug." The concept of Anaesthesia had finally arrived. It is now over 150 years since that day in Boston when the world changed for medical care. Ether has since relinquished it's throne for faster and safer alternatives. Anaesthesia too has moved on. From a field where the guy who was free would hold a mask on the patient while the others performed surgery, it has simultaneously branched out and yet delved within. Confused ? First call: To aid in the resuscitation of patients in the emergency department. Intensivist: That guy running the intensive care unit, looking after all the cases brought in, ranging from a snake bite victim to a post operative patient who needs extra special care. Pain centers: Are you aware of the existence of these centers? Here, guided by flourescent dyes and radiological procedures, specific invasive treatments are provided for pain relief for both acute and chronic pains ( joints, spine ) as well as for for cancer patients. Before the hospital: Part of the responding team for pre-hospital emergencies where every second is vital. And yet, even as the anaesthesiologist has moved outdoors to all these new fields, he hasn't stopped looking to be more precise within his playing field. Morton's discovery heralded changes across the world and soon, the true gift of local and regional anaesthesia would be discovered. Patients could now be completely awake and active, with just the operating site rendered numb. From the first breath: John Snow's administration of anaesthesia to Queen Victoria during the delivery of her child and her subsequent stamp of approval shut the door on religious debates on whether women were meant to endure pain 'for their sins'. With further studies and improvements, today hundreds of thousands of young women delivery happy, healthy children every day using painless labour anaesthesia. Even in the event of a Caesarian section, spinal anaesthesia ensures the mother is not just pain free, but also able to be a part of the birthing process and hear her child's first cry. From general to regional: Not every case need be under general anaesthesia. Now with the simple prick of a small needle and administration of a drug, the anaesthetist is capable to making specific ( just below your ankle, palm only, inner side of limb, outer side of limb... you name it. ) regions numb while the patient is still awake. Mix-and-match: Too much of anything can be bad for you. That's why a balanced general anaesthesia includes not just loss of consciousness, but also muscle relaxation ( so the surgeon is happy ), pain relief ( so the patient is happy ) and of course, stable cardiac vitals ( so the anaesthetist himself is happy. ) It includes titrated doses of various drugs which are synergistic and thus helps prevent an overdose of any single drug. Make it last, man: Epidurals aid not just in anaesthesia during the surgery, but allow the anaesthetist the opportunity to provide you pain relief for the next few days as well without having to pop pills. It ensures that the patient doesn't suffer for even a minute in the post operative stay in the hospital. Back then, holding the patient down was the bystander's main worry. Now the main worry is whether he will defeat the top score in your mobile games. "The surgeon is the head of the sailing ship, but the anaesthesiologist is the head of a sinking ship." My Head of Department told me the above statement while I was a resident. The true value of this statement is known to every surgeon, obstetrician, orthopedician et al who performs surgery inside an operating theatre. When things get rough during a surgery with severe blood loss, a cut vessel, a cardiac arrhythmia or arrest, it is the anaesthesiologist who is looked upon to take over, stabilise and resuscitate the patient so that he survives. "To know how far you have reached, look to your past to see how far you have travelled." Sushrata, the Father of Surgery, practiced in Benaras near the Ganges in 600 BC. Morton, the Father of Anaesthesia, was a New Englander in the 18th century AD. Think about it. It took 2400 years for these star-crossed fields to be entwined - 2400 years of pain, tears, screams of agony and mercy. Today, the only sound you hear during a surgery is the sound of a healthy bip-bip-bip letting the patient and the surgeon both know that 'All is well'. One thing does stay the same though. Even today, irrespective of country, creed or religion, in every operation theatre, surgeons eagerly await the same words that were successfully spoken for the first time that day in 1846 at the Bullfinch Amphitheatre - "Sir. Your patient is ready." 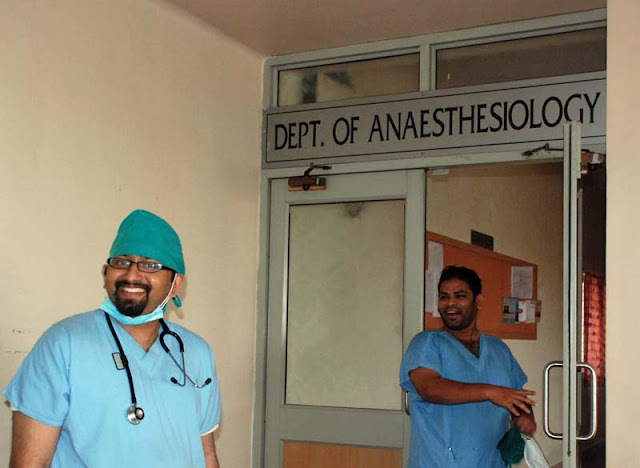 The World celebrates October 16 as World Anaesthesia Day. So save the date and don't forget to thank your anaesthesiologist! Good write up. But, pain continues to have a role. Without pain, we would not be able to diagnose many conditions. However, anesthesia has revolutionised practice of medicine. Hey Doc!! 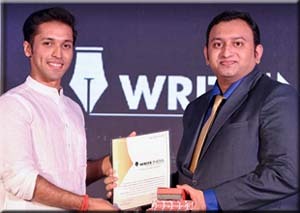 what a writeup!! They way you have just narrated the chronology of your field is awesome... 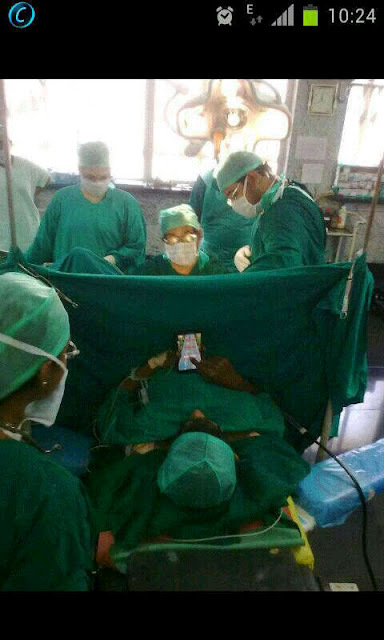 Liked the part where you dread abt the patient getting ahead of your score in mobile games .. simply amazing!!! Thanks Sreeram. And nowadays, there are many such instances where the patient is calm enough to actually enjoy the surgery. I've given my phone on numerous occasions to patients to play games, call their parents outside to tell them that all is well etc. Its something that you couldn't dream about a few decades ago. Hey, great write up... Pain relief is such a divine cause... A true justification to ma branch and i never regret being an Anaesthesiologist....!! Agree on the pain relief part sir.. nothing beats that aspect. Right on spot doc! We take it for granted and usually does not realise the painful history behind it. I've left out a lot of morbid history Rohan.. many of the pioneers who came close but failed ended up so depressed that they drank away their lives or just ended it, out of frustration. It took a lot to reach to this point. Nowadays, everyone takes it for granted that a simple injection will do the trick... for all those years, there was no such option. Very well written, doc!! Interesting and informative. I think anesthesiologists are under-appreciated, especially when compared to other specialties of medicine. People need to be made more aware of how important you guys are! Thanks beingFab. Wish people were more aware really... well, perhaps this is a first step. Fantastic. I'm passing this on to my sister-in-law who's one of your kind! Good luck with the competition, Roshan. And the times before anesthesia...so scary! I can tell you, cos I had undergone a Ceaserian operation two years ago ! its a lot scarier than you think... even after the discovery of anaesthetic agents, for a long periods, no such drugs were available to the woman in labour as religious bodies deemed the pain justififed for 'the woman's sin' (dont ask). The Queen changed that aspect. Even then, there were so many mishaps and deaths due to unaccounted for side effects and complications.. all of which has led to the present day where we learnt from the errors of the past and now know what to give, how much to give and what to anticipate during a Caesarian section. Enda daivame...I am lucky to be born in this era only after all the trial and errors were done ! The archaic ways of numbing pain seem hilarious. Today we are indeed fortunate to beat the pain, courtesy modern medicine. A truly comprehensive winner post. Will read it again as this is so informative. Numbing using ice and alcohol were used even during WW 2, if Im not mistaken.. thats how 'recent' it was. This was a very interesting post, brimming with information. I am not able to understand this line though - Pain is essential to identify the illness and reach a specific diagnosis. Pain is one of the first signs from the body warning you that something has gone wrong at a particular point in your body. Dont think of obvious visible things like a fractures... think of pain in the right lower abdominal quadrant which increases on touch ( suggestive of appendicitis ). But an 'Upper' right quadrant pain implies liver pathologies or gallstones.. loin to groin pain implies kidney stones. The type of pain and the site of pain can be diagnostic by themselves without even a scan at times. a fascinating insight into the story of Anaesthesia...you made it such an interesting read :) Good luck for the competition. Every stage in medicine is Godsend. I really have a soft corner for doctors. My uncle recently said that when people are unable to recover they blame the doctor. And when they are cured they thank the Lord. You guys are wonderful for you take everything by your stride. Kudos!! Thanks Nisha. And yes, I do agree with your uncle... it can get thankless at times. Especially in todays India. i have been reading numerous negative aspects of modern healthcare in journals and the likes over the past few months. And i was wondering whether doctors are even considered worthy these days by the common man. You know, such articles irk you to the core and make you wanna shout out to the world the magnitude of what is actually happening on the other side of the spectrum. It feels great to have read such a meaningful and solid post on the topic! And yes, even i was thinking that an anesthesiologist was someone who keeps deflating the black balloon, chatting with his/her colleagues until i finished my anesthesia posting during my house surgeoncy. I was so wrong! But i guess the surgeons know that they are indebted to you guys, big time. Best wishes for the contest:) It is indeed refreshing to read so many positive feedbacks on the comment section. Loved those too! Like you, I too have been reading quite a few articles on the evils of modern day medical care and doctors. 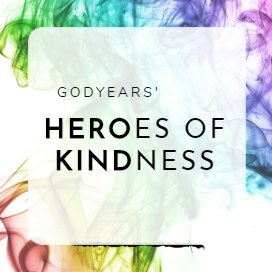 I had written about it nearly a year ago ( http://www.godyears.net/2012/05/doctors-defend-thyself.html ) and I still stand by what I say there. The recent NEET fiasco has only further proven my point. Anaesthetists appear laidback because for the majority of the case we have already settled everything down. But in a crisis or an intraop event, you would have noted how the situation rapidly reverses - the anaesthetist is called on to stabilise the patient and if the surgeon, even the neurosurgeon, defers to his judgement. Medical field in India ? To br frank, I'm very concerned of what will happen a generation down the line... with all the brickbats being needlessly thrown around and the loss of a social life, it would be sensible for any kid to want to choose another field. What happens then to our doctor:patient ratio ? True..as I described in one of the above comments, pain is essential for allowing us to know that something is wrong.. and our field is even more essential because once the pain has been identified and the steps necessary to heal noted, we are the first step to making that pain disappear forever. Hi Roshan - Had 2 C-sections and both times I remember the anesthesiologist being my favorite guy much to the dismay of my ob-gyn who took care of me for 9 months :) Doctors are living gods. You guys rock! But ironically, we anaesthetists are usually the least known faces to the patients since they see us just a couple of times and that too when they are most tense , preparing for an operation. I never thought about this earlier - the times before the advent of anesthesia. I had gooseflesh when I was reading these techniques you've mentioned here, that were used to prepare the patient before they started operating on him. Hit him with a club on the head eh?! This was quite an informative post, Dr. Roshan :) Thanks for sharing this info. And happy Doctor's Day to you! Wow Doc I read the entire post on Medical issues and enjoyed it! I wish you were my biology teacher or better physics teacher....loved it, loved it and just loved it. To know the miracles of anesthesia...really grateful. will really remember October 16 every year from now on. think of the gap.. 2400 years before surgeries were first done with anaesthesia! The earlier methods were... oh god so barbaric!!! I don't think I would undergo surgery if someone was supposed to club my head. Anasthesia, like so many other inventions, are a boon to medical science. I am baffled how they could come up with surgery procedures but didn't think of a method to safely make the patient not feel the pain. I mean, the order of their priorities was totally wrong. They did try a lot of techniques and methods to relieve pain in those 2400 years. They just werent always successful, be it using alcohol or hallucinogenic stuff. People badly underestimate the value of anaesthesia simply because they do not know the history behind it. Wow! What an amazing write-up. If we were on the same table ages ago, how would we survive? Am clueless about it. A big Thanks to all the anaesthesiologists around the world and to the wonderful writer that you are, Roshan. 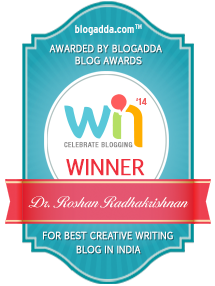 Kudos _ dear Roshan , so nicely narrated your thoughts. Indeed anesthialogists must be proud of their work .